Lenovo Yoga 500 Laptop 14" Touchscreen Convertible Core i3-4005U 4GB RAM 1TB HDD. These are Official Lenovo Recondition units in A+ condition. Theyd be professionally refurbished & Tested by Lenovo Engineers.Cosmetically they would usually be in nearly new condition with very light marks / scratches that would not hinder the functionality in anyway. A PC when you need it, a tablet when you want it, and more. Easily change between four modes Laptop, Stand, Tent, and Tablet. The secret: Yoga 500's unique design and touchscreen display. It allows the screen to flip around 360º, which means you can select the mode you use based on what you choose to Do. With the latest Intel® Core i Series processors, you have the power to play, create, entertain, or inspire. Enjoy powerful performance and vibrant visuals to multitask with ease, amazing battery life to keep up with you, and built-in security features to help keep your data safer. 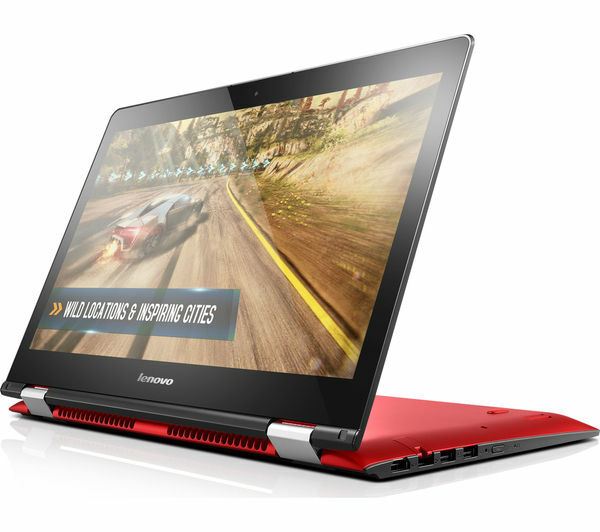 Starting at a mere 4.3 lbs and just 0.85" thin, the Yoga 500 is ultra portable it's perfect for doers on the go. And with **up to 8 hours on a standard battery, you can go all day without recharging.